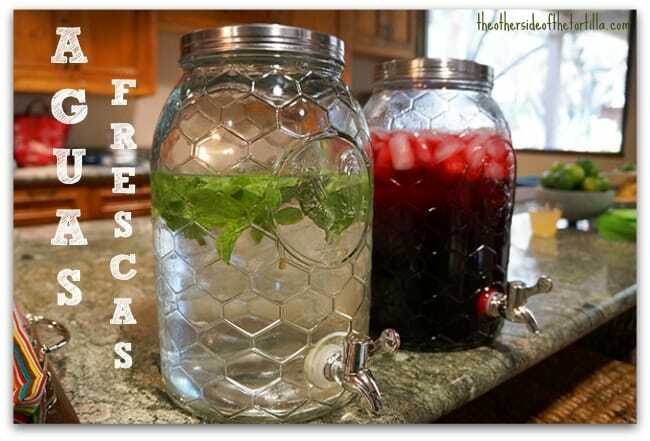 I recently hosted a fabulous party with Avocados From Mexico and Latina Bloggers Connect at my home. This is a sponsored #ILoveAvocados LBC Live Party post. All opinions and recipes are my own. 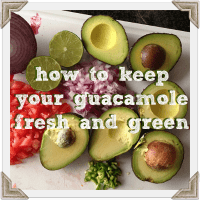 It’s no secret that I love avocados, and even if you’ve been reading The Other Side of The Tortilla for just a short time, you’ve probably seen plenty of avocado recipes here. From eating them plain with a squeeze of lime juice and a pinch of salt to turning them into a gourmet meal, I love avocados any which way you slice them. 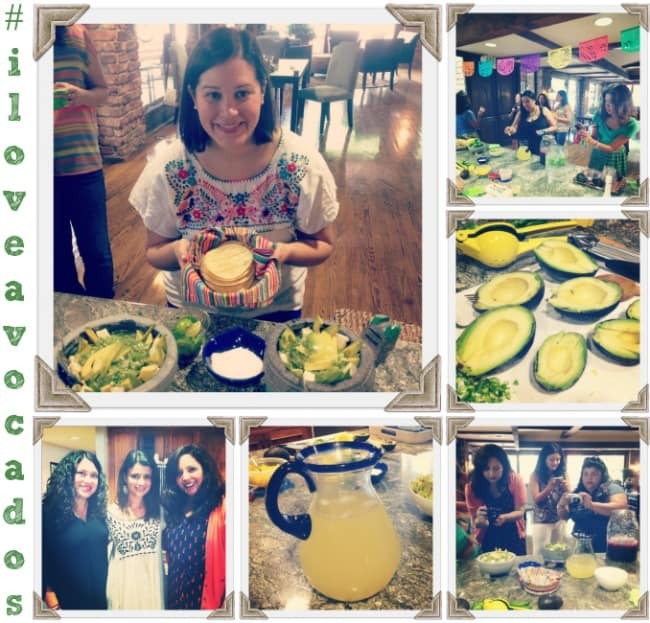 That’s why, when I was approached to host a live party at my home with Avocados From Mexico, I jumped at the chance to share some versatile avocado recipes with some of my favorite Latina bloggers. I demonstrated four recipes using avocados (all of them vegan or vegetarian-friendly, by the way) and sent my guests home with a surprise—a jar of my freshly made salsa verde con aguacate. Here’s a sneak peek into my party with video, photos and recipes! Enjoy! 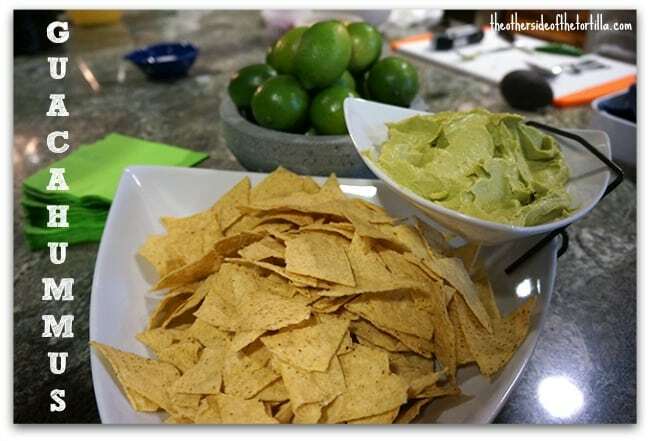 Guacahummus, a blend of hummus, avocados and lime juice, is an easy and healthy snack that both adults and kids alike will love and is a perfect dish to make for parties. If you’re crunched for time, make a semi-homemade version with store-bought hummus, which cuts down the prep time so you can churn this dish out of your food processor in about five minutes! 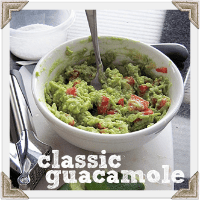 Guacamole is a party staple! 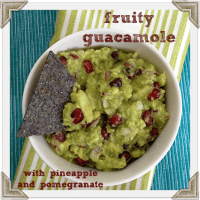 In my house, we like to experiment with lots of different sweet and savory guacamoles and my extended family especially loves when I make fruity guacamole. 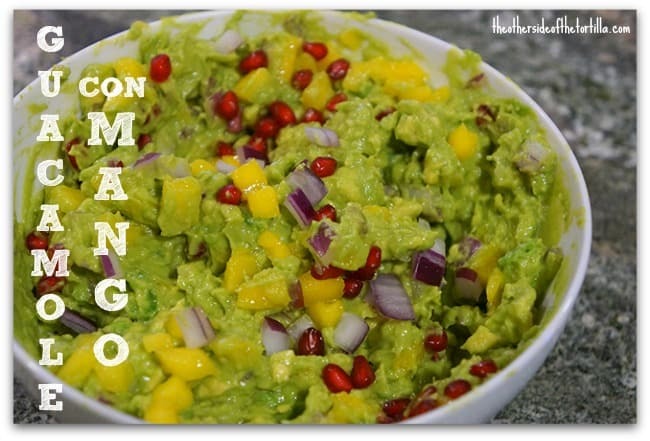 For the party, I whipped up this batch of guacamole with diced mangoes and pomegranate seeds, and gave it a nice kick with lime juice and serrano chiles. My guests practically licked the bowl clean. Some of the guests sent tweets or posted on Facebook the next day that they wished they could have some more! My favorite dish that I shared at the party comes from one of my favorite restaurants in Mexico City, El Cardenal. It’s a molcajete (a Mexican stone mortar) filled with a coarse, fresh and spicy salsa verde flanked by avocado slices and queso fresco. 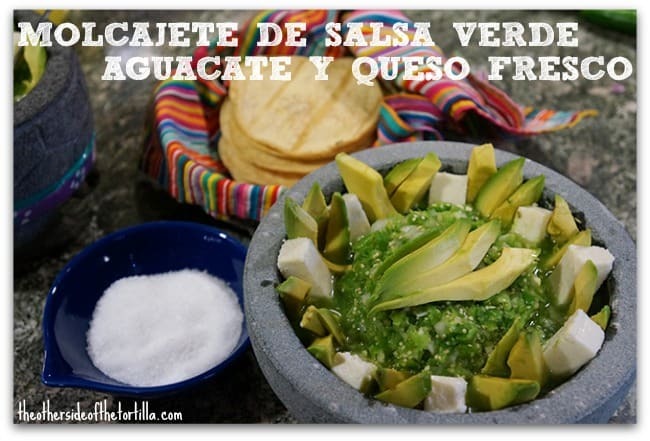 This dish is served with corn tortillas and you smash the queso fresco and avocado in the tortilla, add salsa, squeeze fresh lime juice over the top and sprinkle with a little salt. They make the most amazingly delicious tacos. 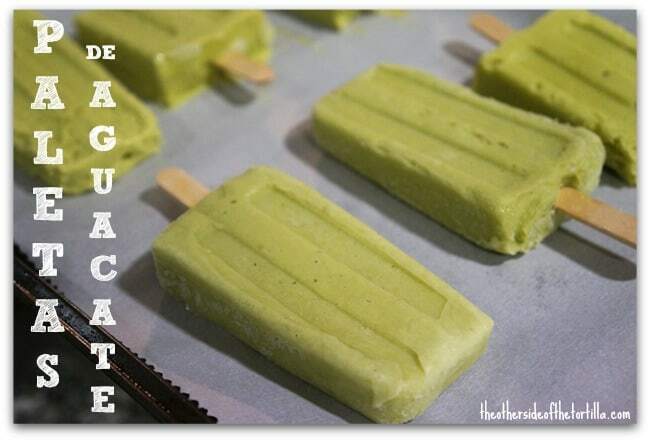 I served these avocado popsicles made with nothing but avocado, light coconut milk and sweetened condensed milk for dessert at the party. They were a huge hit! Everyone said they were a little nervous about trying them because they’re not used to eating avocados in a sweet dessert, but I have to tell you that everyone was sad that there wasn’t enough for them to have seconds. 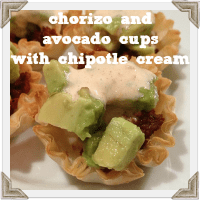 Want to see more from my #iloveavocados party? Check out these posts from my party guests to see what they experienced! Thank you to Latina Bloggers Connect and party guest Pattie Cordova of Living Mi Vida Loca for sharing photos and video they took at the party that appear in this post. For more photos from the party, please check out the links above from my guests or search the #iloveavocados hashtag on Instagram to find their photos. I had such a great time at the party! Thank you so much for being an incredible host, and to LBC for allowing the opportunity.